This popular Chalet Hotel in the very heart of Val dIsère remains a firm favourite with families, many of whom have already booked to return this coming winter! Traditionally appointed with warm wood tones and rich fabrics, this is one of those hotels that makes you feel welcome and comfortable from the moment you enter. 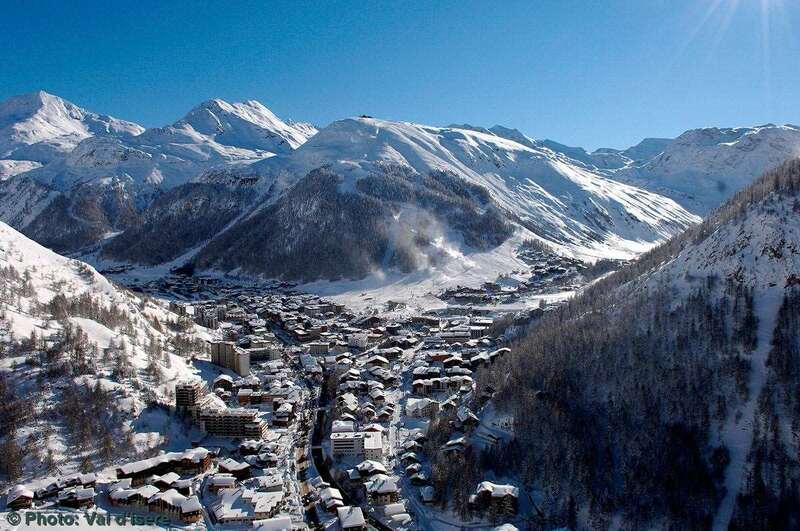 What a pleasure it is to be staying at the Ducs de Savoie, and have only a mere 350m stroll to the choice of Val dIsère’s three main high-speed lifts lifts to whisk you up into the very heart of the skiing. The Solaise Express chairlift goes straight to the Solaise peak at 2,560m, from where a choice of lifts and runs fans out, including the connections across to the Le Fornet area and the superb snow of the Pissaillas Glacier. The childrens ski area and adult nursery slopes are also situated in the same base area as the above three lifts, so are equally convenient for our guests. Holidays to this property are particularly suitable for families. Childcare is subject to availability and must be pre booked (at extra cost). The lounge/bar is on the ground floor and is an ideal spot for swapping stories of the day's adventures with apéritifs and canapés, before moving on to enjoy dinner in the spacious, attractive dining-room. Our dedicated Nursery is situated on the fifth floor and offers spacious play areas as well as a quiet sleep room. Snow Club has its own room, on the lower ground floor, for all its indoor fun. Our staff provide a hot and cold buffet breakfast, afternoon tea and adult-only Culinary Choice evening meals, whilst our Baby-Listening/Child-Patrol, running until 11pm, allows parents to relax in good company over coffee after dining. Children's high tea is served at 5.30pm and supervised by our staff until 6pm. Here we offer a range of comfortable family rooms, so that between the choice of twins, triples, family rooms and suites, all family sizes are catered for, whether you are two parents and an infant or a larger family of six. The third bed in the triple rooms is similar to a top bunk but with a wardrobe beneath, and is situated in the entrance hallway of the room. (This bed is more suitable for children over six years old.) All bedrooms have flatscreen TV/DVD (with UK channels) so bring your favourite DVDs. Rooms 12 & 13 combine to make Suite 12, sleeping 6-7, as both rooms lead off from a private corridor with door. *Rooms in the new extension ; add £10 to basic adult price. Rooms 22 & 23 combine to make Suite 22, sleeping 4-6, as both rooms lead off from a private corridor with door. *Rooms in the new extension; add £10 to the basic adult price. Rooms 32 & 33 combine to make Suite 32, sleeping 7-9, as both rooms lead off from a private corridor with door. *Rooms in the new extension; add £10 to the basic adult price. Third bed: as this is similar to a single top bunk, we suggest it is only suitable for children over 6 years, however parents have the final decision on this. The fourth bed in all the following suites/rooms: 102, 104, 106, 108, 202, 204, 206, 208, 302, 307, 308, 402, 403, & 405 is a put-u-up bed if required. Supps p.p.p.n: Suites £5.95; Balcony £2.95; Rooms/Suites 101-110, 205 & 206 have no supplement. The chalet itself is in need of a refresh but the staff and the childcare facilities are spot on. My family will be coming back next year for this reason.. Plus location is ideal to walk to slopes, restaurants and shops.. Brilliant holiday can&#39;t wait for next year..